The cottage is located in the heart of the Vosges mountains in Saint-Maurice-sur-Moselle not far from Alsace, the Territoire de Belfort and Haute-Saone where is the Plateau des Mille Etangs. We are also a few kilometers from the Théâtre du Peuple in Bussang and the ski resorts of Rouge-Gazon, Ballon d'Alsace and Larcenaire. 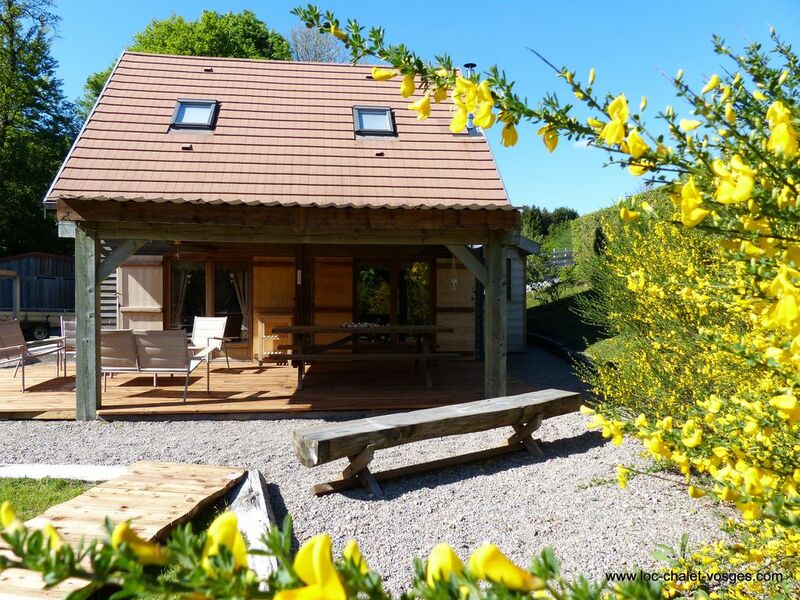 This holiday rental has all the comforts for a dream holiday and allows accommodation for up to 8 people, for a duration of a weekend, one or more weeks. Advertised rates are all inclusive except for the tourist tax (€ 0.90 per night and per adult). THE RATE FOR A WEEKEND is from 220 €. A deposit of 250 € is required on arrival for each stay. The schedules for the weekends are flexible, so you can enjoy your short stay in our chalet. During the school holidays, we rent only the week from Saturday to Saturday. The chalet is south facing with views of the summit of the Ballon d'Alsace and the Ballon de Servance, in a quiet and green. A small park with goats is close to the chalet. Many departures of excursions are possible from the cottage on the marked trails of the Vosges Club. For cycling enthusiasts, you can climb to the summit of the Ballon d'Alsace, the "historic rise" borrowed by the Tour de France.